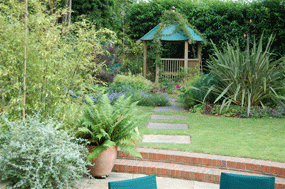 Hampshire Garden Designer Martyn Gingell, why choose me? 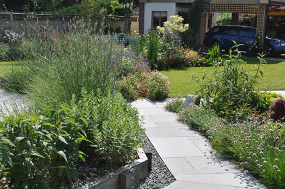 I recognise that I am one of an increasing number of companies and individuals all competing to design your garden for you and understand that it can be difficult to decide who to commission. I therefore offer the following information about me and the service I provide in the hope that it might help you to make your choice. This is a difficult one for me to quantify; I think I'll suggest you look at the pictures within the website and make up your own mind about it! 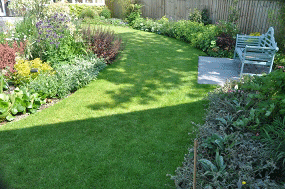 More than 30 years experience as a professional garden designer! Since becoming a freelance garden designer in 1985, I have built up a wealth of experience of different gardens, soils, microclimates and solutions to problems. This experience has taught me a great deal about the design and construction process and provided insight into a whole range of plants and materials and how they perform under varying conditions. I am totally independent of contractors, suppliers or other commercial organisations. Therefore if I recommend something you can be sure I have done so because I consider it to be right for you and not because I could profit from doing so. I can also freely discuss budgets for construction work with you, as your budget does not affect my fees. 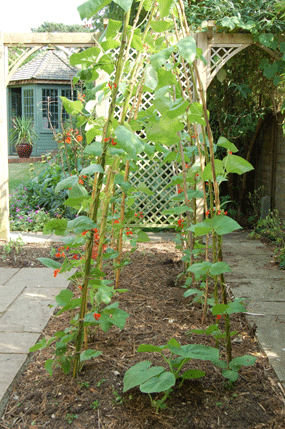 I do not hide any design fees within garden construction costs or elsewhere. I do not charge fees as a percentage of construction costs. 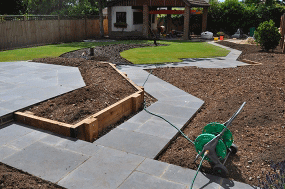 My fees for any agreed work will be discussed and a maximum figure usually set before any work commences on your garden design. If it takes me longer to design your garden than I thought it would, you still do not pay more than the agreed sum. I will always try to do my best for you, and will be honest (some say forthright!) in my opinions. I will always try to promote options which I consider will best achieve your objectives, and will tell you if I believe that something you have requested is unsuitable. However, I also understand that we are dealing with your garden, and that your requirements are paramount. 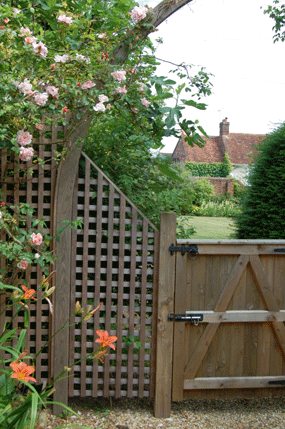 I am designing your garden by interpreting your design brief, not by imposing my personal aspirations on your garden. I also believe that trust plays a vital part in my relationship with my clients. I consequently rigorously defend my independence from third parties who could influence any recommendations that I might make. I am working for you, nobody else. Finally I try to remember that the process should be enjoyable, not a chore! After reading Biological Sciences at Exeter University (specialising in ecology), I spent two years working in forestry and rural estate landscaping. I then attended Wye College (University of London) to obtain a Masters degree in Landscape Ecology, Design and Maintenance, where my interest in garden design work was developed. 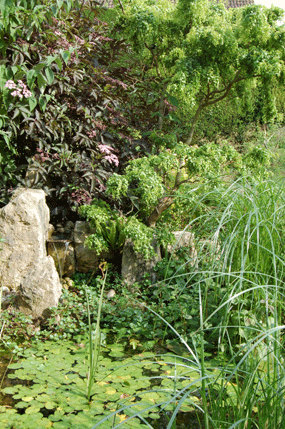 After a spell looking after the grounds of a zoological park, I went freelance in 1985 in order to provide a bespoke garden and landscape design service to private clients. Since then I've worked on design commissions for gardens ranging in size from tiny back yards to expansive country estates. I also spent two winter seasons working in the wholesale nursery trade which considerably extended my plant knowledge and sourcing abilities. 1. From Mrs. R., South Hampshire. 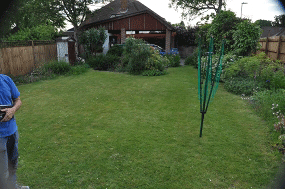 Martyn Gingell brought about the transformation of an unlovely space into a beautiful garden which has made a real difference to our quality of life. We spend much more time outside now, enjoying what he has created for us. The whole process of designing the garden was a positive one as Martyn led us through each step with care and patience ensuring we understood all that was entailed and what was possible. He never rushed us. He listened carefully to us and incorporated everything we wanted into his design. His knowledge of horticulture is encyclopaedic. We do not believe we could have worked with a better or more creative designer. 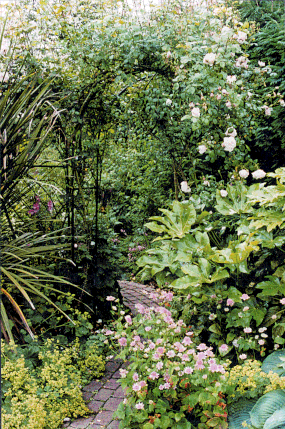 Our first encounter with Martyn Gingell was when he transformed our front garden in 1999; we were so pleased with the result that we asked him to design for us again and he subsequently created an equally lovely back garden. The gardens were a great joy for several years and we were truly sorry to leave them when we recently moved house (they were, it must be said, a major factor in achieving an exceptionally quick sale). At our new property we have been confronted by an even more challenging site, so we had no hesitation in calling on Martyn's skills for a third time, and since then he has worked wonders in drawing up plans for what promises to be a very special garden. 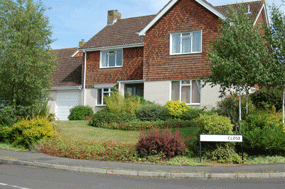 Martyn's designs have each provided attractive and cost-effective solutions to difficult problems. For each design Martyn has supplied a wealth of ideas whilst always making every effort to determine what it is that we are looking for - often when we ourselves haven't been entirely sure. 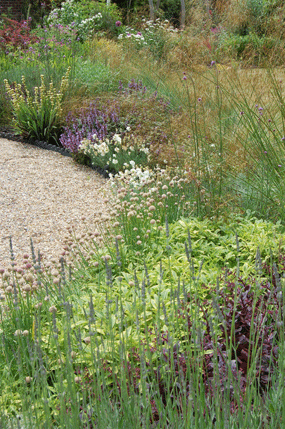 The results have been gardens that meet all our requirements but go far beyond that with imaginative landscaping and planting that are ideal for each site. In addition to having experience, design flair and comprehensive plant knowledge, Martyn has always been a pleasure to deal with. We could not ask for better.